I call it my 3 Rules of Threes. (Because I'm so clever like that.) 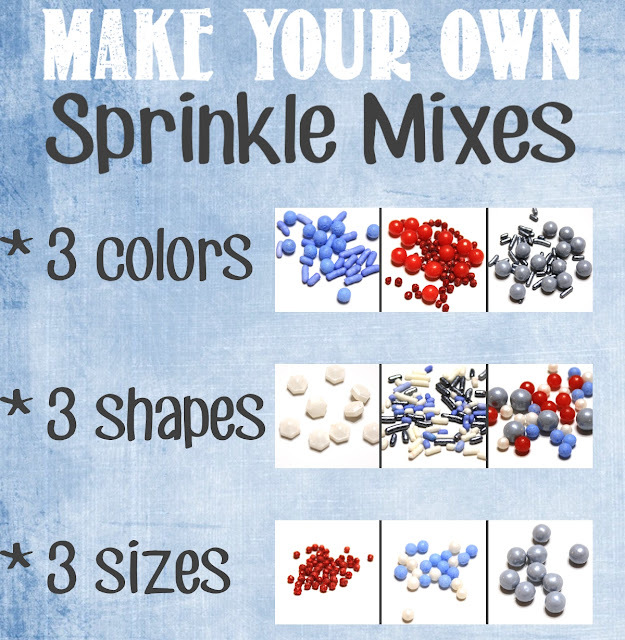 Every good sprinkle mix should have 3 colors, 3 shapes, and 3 sizes. 3 COLORS: This one sounds deceptively simple. Just kidding. It actually is simple. You need at least 3 colors. Neutrals like white, silver, gold, and black can either count as a color or not. It's your choice. 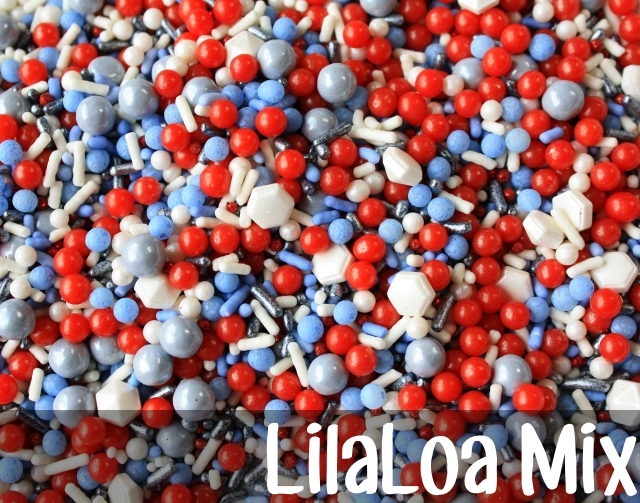 If you need a color that you don't have, you can custom color your sprinkles. 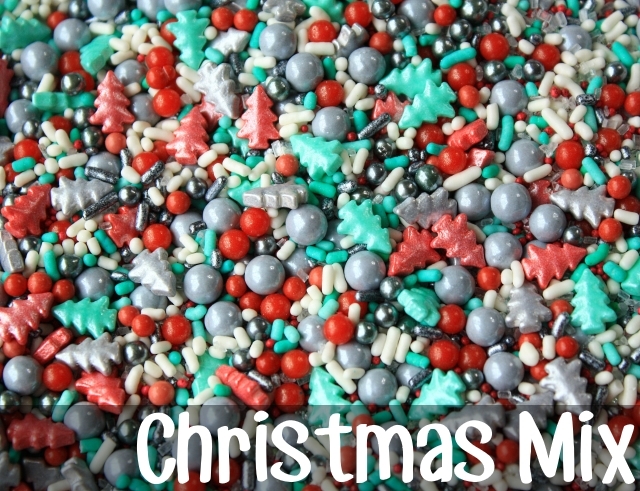 Place white jimmies or sugar pearls in a ziplock bag and add a few drops of food coloring. (My color charts are SUPER helpful for mixing custom colors blind like this.) Shake the bag like you're getting paid for it until all the sprinkles are the same color. Spread them out on a paper towel to dry for a few hours or overnight before adding them to your mix. 3 SHAPES: Sugar pearls and jimmies are by far the most common and easiest shapes to find. I mean... they sell them at the grocery store. Since it can be trickier to find, I like to start most of my mixes with the odd shape first. Seasonal sprinkles like these trees are great for their unique shapes. 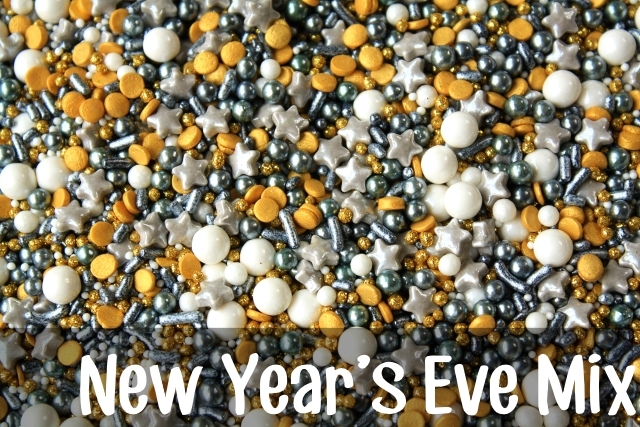 You can also find fun shaped sprinkles in every color in the cake decorating aisle at Michael's. 3 SIZES: Whatever shapes and colors you've chosen, make sure that you have at least 3 different sizes of sprinkles in your mix. The different sizes create interest as they nestle under and between each other. You don't have to add 3 sizes of the SAME sprinkle shape...you just need to make sure that you have a wide range of sizes. I would LOVE to see the mixes you create!! Snap a picture and tag me on Instagram or post in on my FB page!! Having a hard time finding the right shapes? 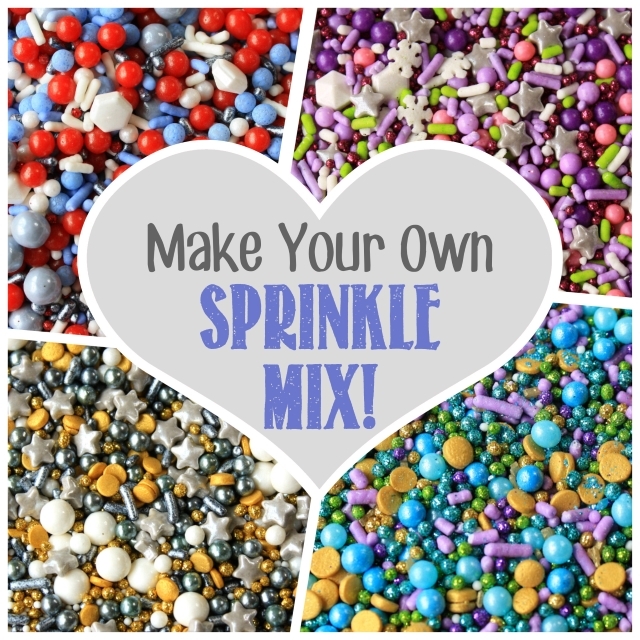 Learn how to MAKE YOUR OWN SPRINKLES. Once you make your mixes, check out these NINE WAYS to use them on cookies!! 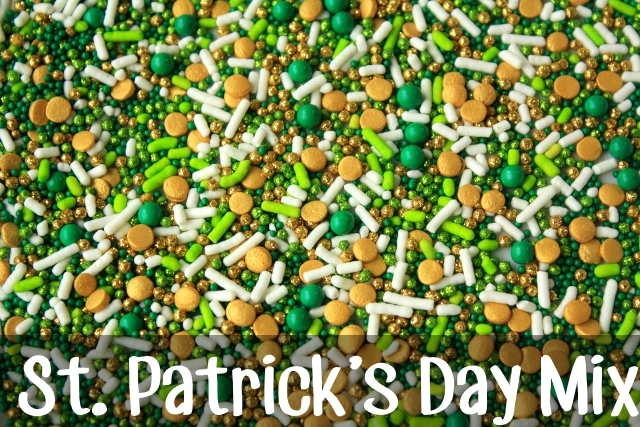 And if mixing sprinkles just isn't your thing - check out these great sprinkle shops!! or just go crazy on ETSY.